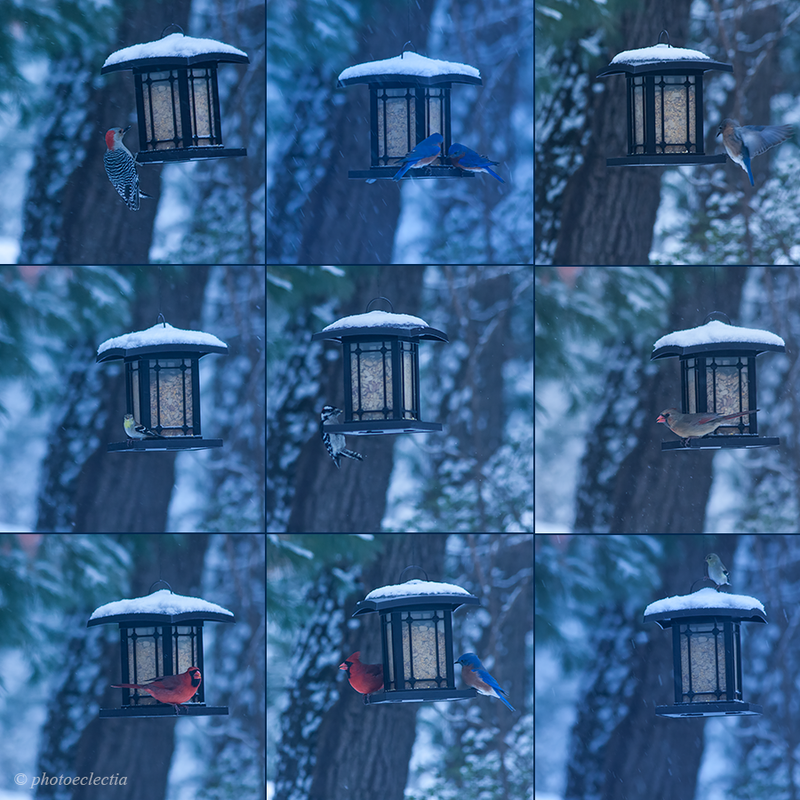 It was a snowy, but busy morning at the bird feeder. The snow drifting lazily down did not deter this crew of determined bluebirds from coming out on a Sunday morning for their breakfast. I’ve noticed that they tend to arrive as a family and leave as a family. A brave female cardinal is likely to join them, but the smaller birds usually wait their turn when the bluebirds are feeding. The male cardinal likes to have the whole cafe to himself, as does a large redheaded woodpecker who lives in the neighborhood.